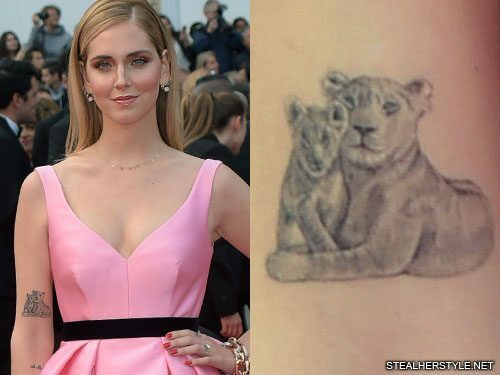 Chiara Ferragni celebrated the birth of her son Leone with a tattoo of lioness and cub on her upper right arm. 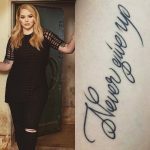 This tattoo relates to another lion tattoo that she has on the back of her arm. She got the first tattoo of a male and female lion together to symbolize her hope for finding true love. That was in August 2016 and she began dating Italian singer/rapper Fedez almost immediately after. They became engaged in May 2017 and welcomed their first child in March 2018. 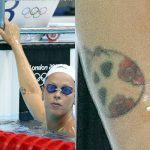 The lion tattoo is actually the reason that she chose to name her son Leone, which is the Italian word for lion. 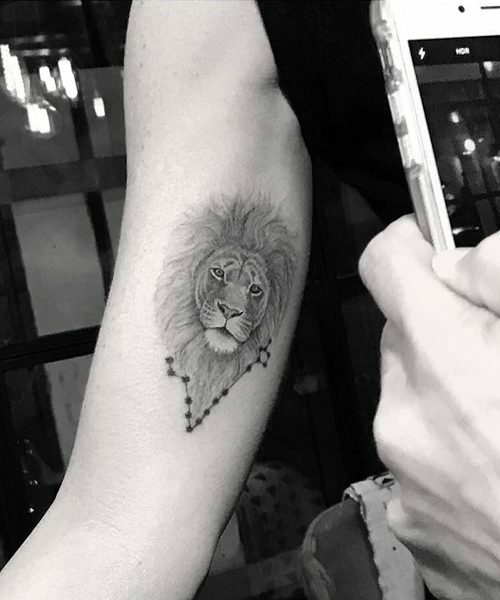 So while the lion couple represents Chiara and Fedez, she wanted to add a new lion tattoo for her son. Leone was born on March 19, 2018 and only a few weeks later she got this tattoo on her upper right arm of a mother lioness with her baby lion cub. 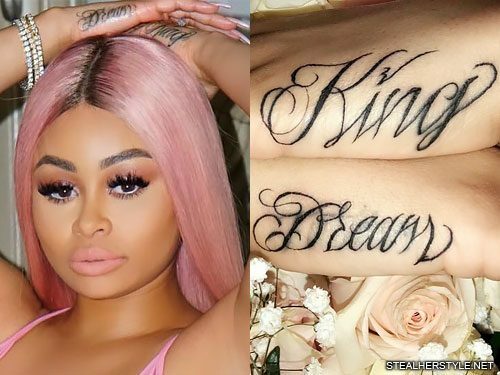 Blac Chyna already had a tiny tattoo of her son King’s name, but now that she has two children she decided to get both of their names in large script letters on the sides of her hands. 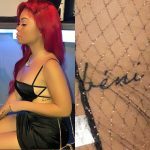 She gave birth to Dream Renée Kardashian, her daughter with ex-fiance Rob Kardashian, on November 10, 2016 and got the tattoos in December 2017 shortly after Dream’s first birthday. 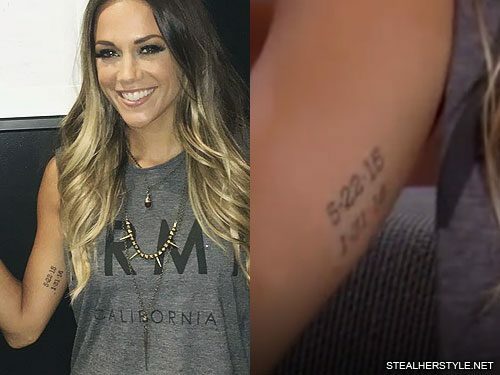 The tattoo serves another purpose as well — Dream’s name sits atop the remains of her ex Future’s name, which she had tattooed back in October 2015. 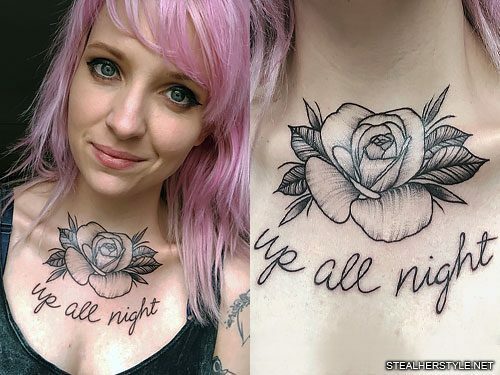 They had only been dating for about a month when she got the regrettable tattoo on a whim. 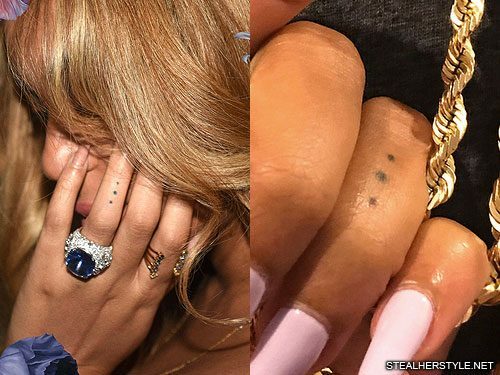 She’s already had laser tattoo removal to lighten the old inking, but it can still be seen faintly underneath the new tattoo. Dania Ramirez has her twins’s names, Aether and Gaia, tattooed on her right foot. 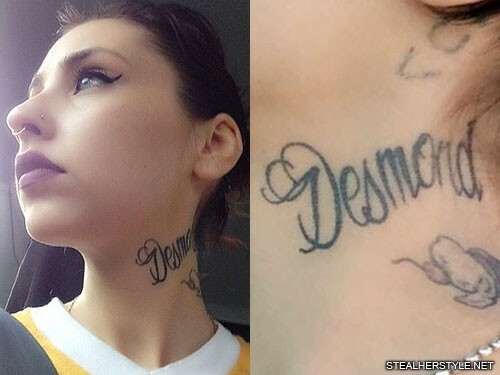 Kreayshawn celebrated Mother’s Day in May 2014 by getting a tattoo of her son’s name “Desmond” on the side of her neck. 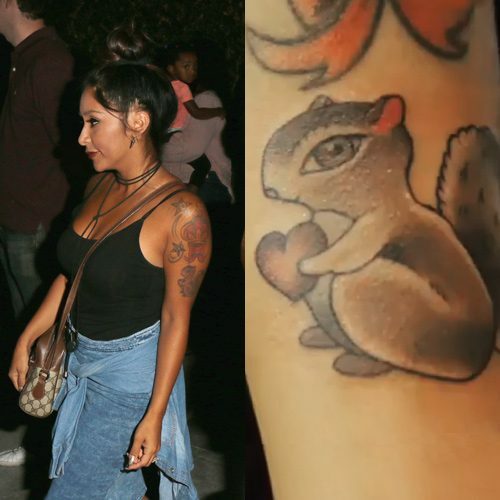 It’s placed above the ice cream cone which was her first tattoo and is one of her favorites. She has another tattoo just behind her ear as well.